"After the tea party." 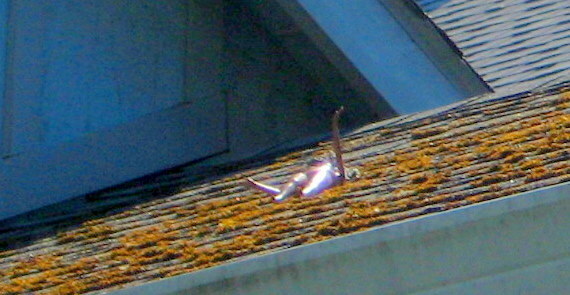 Dolls on roof, Portland, OR, 5 September 2011. 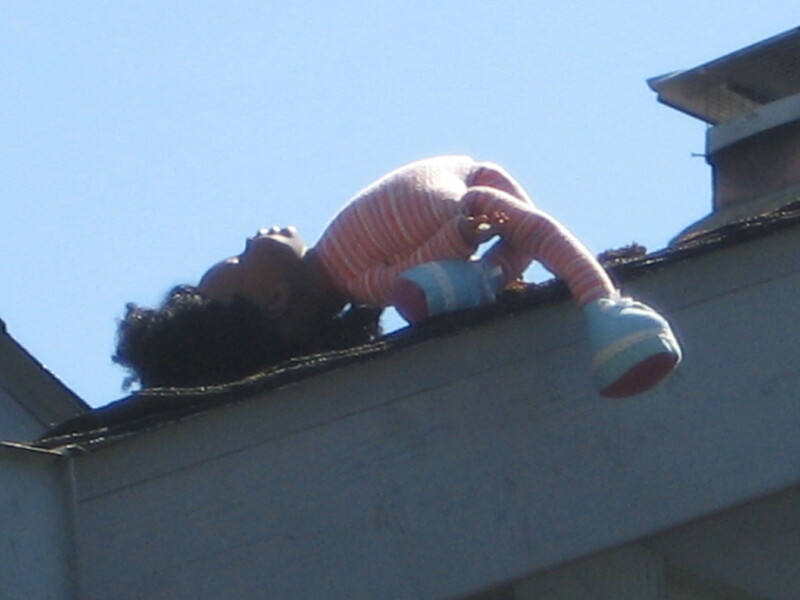 I’ve officially decided to start a series on abandoned dolls. I just can’t describe the emotion I feel when I find these things — nostalgia? sorrow? grief? curiosity? — but the emotions, like the dolls, fascinate me. I didn’t realize until I got home and uploaded these to the computer that this roof actually held two dolls — the naked, sunbathing Barbie was hiding until I looked closely at the photos. Here are some close-ups. Creepy is right. Whose spiteful older brother threw them up there?